The Council are providing a shuttle bus which will be circulating the town during Mòd week. This year, all those who purchased a Mòd Programme through our online system will also receive a digital download of the programme through their account. Once downloaded, the full programme will be available on computers, tablets or smartphones that are compatible with pdf files. Please note that this is a trial system that we hope to build upon in the coming years. We hope that this feature is useful for accessing information regarding Mòd nan Eilean Siar 2016. BBC ALBA will broadcast daily programmes from this year’s Royal National Mòd in Stornoway including three live programmes covering the most coveted events from throughout the festival. The Mòd, organised by An Comunn Gàidhealach, is the Gaelic community’s most prestigious festival celebrating cultural heritage, Gaelic language, music and arts. 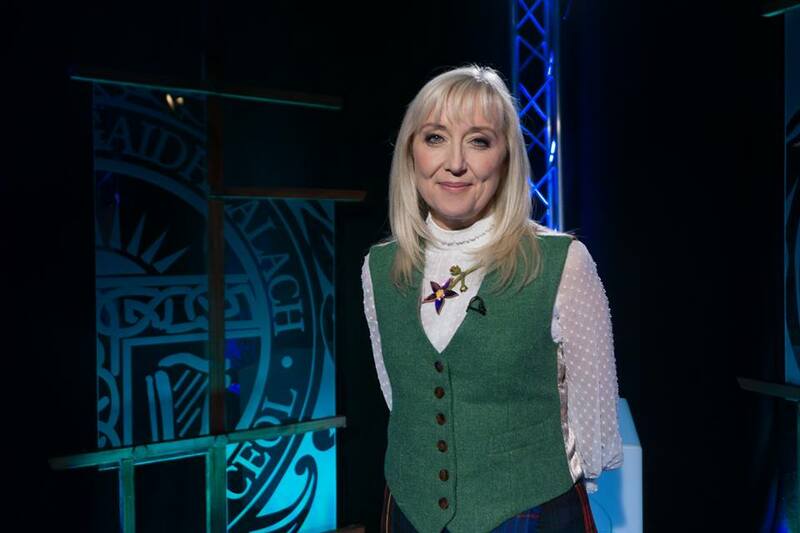 Cathy MacDonald will present BBC ALBA’s week-long coverage which is being produced by BBC Gàidhlig, with programmes being broadcast each night from Monday 17th to Friday 21st October. This year, for the first time ever, there will be live coverage from the final day of the festival when the Choral competition takes place as choirs battle it out to win the Lovat and Tullibardine Shield. This will complement the two live programmes covering the premier solo singing competitions, the An Comunn Gàidhealach Gold Medal on Wednesday and the Traditional Gold Medal final taking place on Thursday. • Monday 17th, 10.00 – 11.30pm – a showcase of some of the successful performers from the Children’s Mòd including the winners of the prestigious James C MacPhee medals. • Tuesday 18th, 10.00 – 11.30pm – coverage of some of the Gold badges, cups and trophy winners from the Children’s Mòd including performances of the winners of the esteemed Comunn Gàidhealach Silver Medals. • Wednesday 19th, 7.30 – 10.00pm – live coverage as Cathy presents the Comunn Gàidhealach Gold Medal competition for singing. Offering analysis on the performances will be two previous winners of the competition, acclaimed singers and musicians Mary Ann Kennedy and Gillebride MacMillan. Also featuring on the show will be the winners of the Silver Pendant for adult learners. • Thursday 20th, 7.30 – 10.00pm – live coverage of the Traditional Gold Medal competition for singing with Gaelic broadcaster, Morag MacDonald and Skye singer Art Cormack providing analysis. Also featured on the show will be the main winners from the day’s rural choir competitions. • Friday 21st, 1.30 – 5.00pm – live coverage of the Choral competitions as nine choirs battle it out to win the Lovat and Tullibardine Shield. 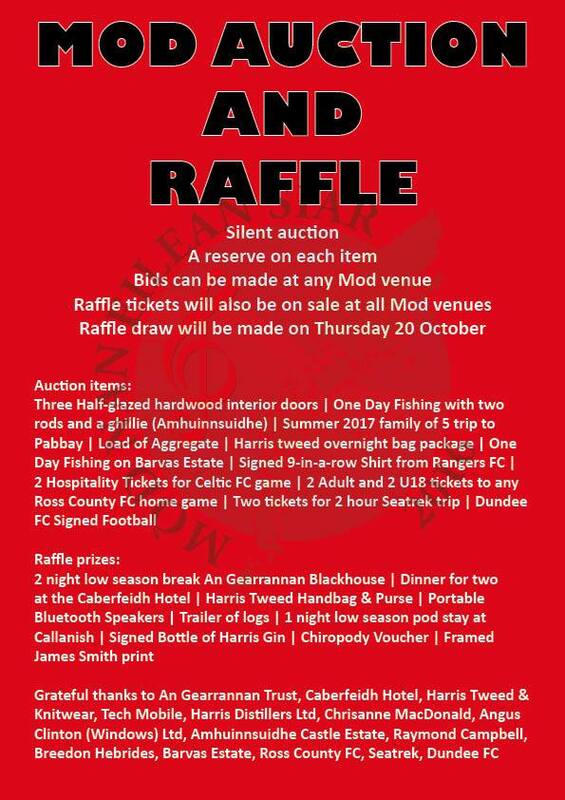 Providing analysis on the Shield competition as well as the Margrat Duncan Memorial Trophy competition, will be Lewis singer Calum Martin and music teacher and singer Lisa MacNeil, who lives on Barra. The winners of the Esme Smyth Trophy and the Mull and Iona Shield will also be featured. • Friday 21st, 10.00 – 11.30pm – the final programme will provide performances from the Choral competitions held over the last few days including the winning performances of the Lovat and Tullibardine Shield, the Margrat Duncan Memorial Trophy and the Esme Smyth Trophy. A selection of the rural choir winners will be featured including the winners of the Lorn Shield, the Sheriff MacMaster Campbell Memorial Quaich and the Puirt-a-beul winners. BBC Radio nan Gàidheal will offer simultaneous broadcast of all the coverage while also offering complementary programmes. Alongside live coverage from the Traditional Gold Medal qualifiers on Thursday morning at 09.00, the foremost competitions for the rural choirs will be transmitted on Thursday afternoon at 13.30. Can Melvich Gaelic Choir and Mull Gaelic Choir successfully defend the Lorn Shield and the Sheriff MacMaster Campbell Memorial Quaich respectively? One of the biggest social get-togethers happens on Friday morning when Morag MacDonald hosts the Mire ri Mòir Cèilidh. Broadcast live from 10am, it will feature most of the winners from the week’s competitions and local talented musicians and singers. Radio nan Gàidheal will also be bringing listeners a series of Mòd-related documentaries in the build up to and during Mòd week. These will include Seòid a’ Mhòid, on Monday at 12.03pm, a short series of programmes featuring those who give their time willingly and voluntarily to make it all happen. The following day on Tuesday at 12.03, Anna Dholaidh will profile Annie MacLeod who takes great pride each year putting traditional singers through their paces in preparation for the Mòd – she has excelled on many occasions over the years. News from the Western Isles Mòd will be relayed daily on the morning and evening radio news coverage and featured each night on the news programme An Là on BBC ALBA. Each programme along with many video highlights from throughout Mòd 2016 will be available to view at http://www.bbc.co.uk/alba. The following venues are offering spaces for adult choirs to practice before competitions. Please get in touch with these venues for more information and to book a slot.